Dayton, Centerville, Miamisburg, Springboro, Oakwood, Beavercreek, Kettering, Bellbrook, Brookville, Xenia, Tipp City & Washington Township, Ohio. Concrete Sidewalks can provide much-needed curb appeal to your property and buildings, and they are fast becoming a point of artistic expression by using a multitude of designs. Serving Dayton, Centerville, Miamisburg, Springboro, Oakwood, Beavercreek, Kettering, Bellbrook, Brookville, Xenia, Tipp City & Washington Township, Ohio. 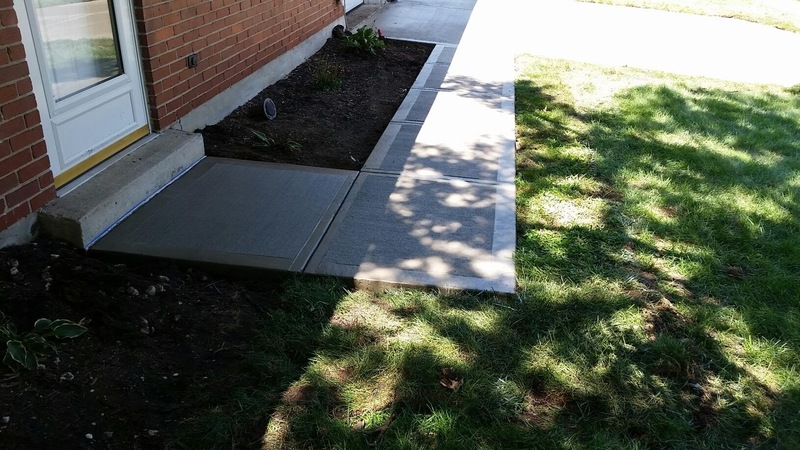 Whether it's a whole new sidewalk you're looking for or just one you want to have updated or fixed... here at Star City Concrete LLC, you will have the concrete sidewalk design of your dreams. 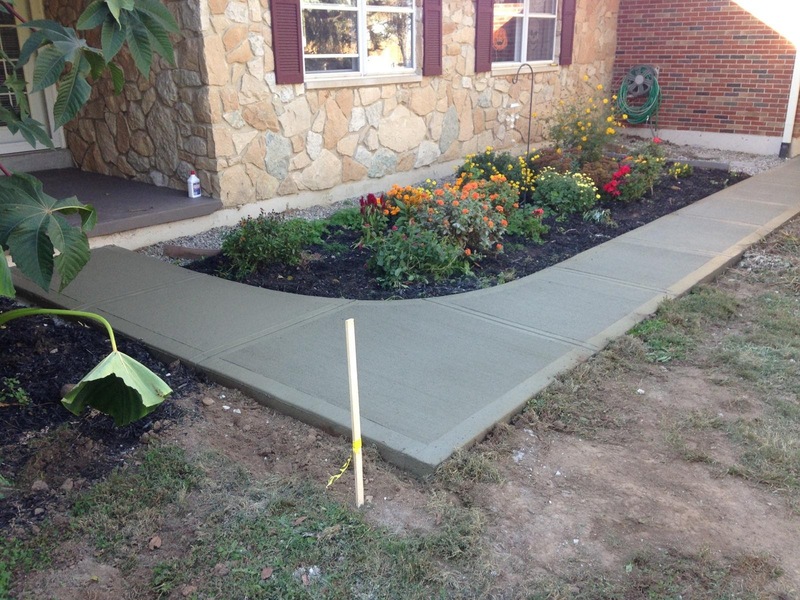 When It Comes To Your Concrete Sidewalk, You Can Count On Us. Fibermesh - is fiberglass that is mixed in concrete to provide tensile strength. Ohio Ready Mix Concrete Association certifies that fibermesh is stronger than wiremesh. Wiremesh - This is metal fencing used to strengthen concrete, placed before placement of concrete. The problem with this product is it tends to fall to bottom of concrete and lose its performance. We prefer fibermesh as it's mixed throughout the concrete. Control Joints - These are placed in the concrete to provide a place for concrete to crack. Concrete will crack, but providing proper placement of these joints will allow the concrete to crack at a defined stress point with minimal visibility. There are two methods of joint placement, installed while finishing concrete or saw cut after it cures. "Customers preference"
Expansion Joint - this is placed at location in around concrete to allow for expanding and contracting without stressing the concrete. Confilm - This is a special chemical used to assist the finishing process, to provide the best quality. Cure and Seal - This is a chemical applied to concrete after finishing to retain the moisture in the concrete. These products tends to leave discoloration. We prefer to water cure our concrete for the best quality concrete. 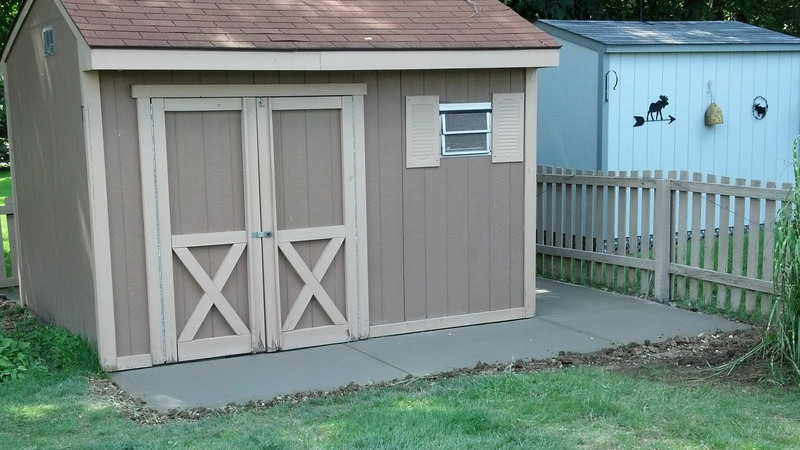 Star City Concrete LLC, a concrete contractor guarantees that material will be as specified on contract. The placement will meet industry requirements per Ohio Ready Mix Concrete Association. We have certified concrete finisher's that adhere to the strict guidelines that are set forth, to have your concrete look good for years. If an issue occurs within the 1 year of placement, we will send someone out to evaluate and determine the cause. We shall bring in third party professionals to review the issue and determine if we provided substandard placement of concrete or property owner misused and or acts of god that would not be warranted. If determined Star City Concrete provided substandard placement the effected are shall be replaced at no cost. Visit our Patio Page for a list of all the concrete services we offer here at Star City Concrete LLC. We can do it all.